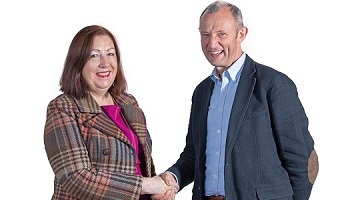 Brandmovers Inc., a global leader of digital promotions and loyalty programmes has established a Partnership with LSBU by supporting an Endowed Chair in LSBU’s School of Business. Professor Margaret Bruce has been appointed as Brandmovers Professor of Digital Strategy to develop this Partnership. This is intended as an advanced knowledge exchange, drawing on multi-disciplinary expertise from across LSBU to address real-world challenges and so provide digital best practices in strategy, marketing, promotions and loyalty. She intends to help to position LSBU and especially the School of Business as a thought leader in the digital realm. She will address a digital strategy principally based around research, innovation, as well as contributing to teaching and learning, and LSBU’s own practices. Professor Bruce is an established research business Professor with a track record of leading international projects and delivering substantive output. Prior to joining LSBU she was Deputy Vice Chancellor of Derby University. The opportunity to establish the Brandmovers-LSBU Partnership in the growing digital sector was absolutely unmissable. The former Dean of LSBU’s School of Business, Professor Mike Molan notes that: “by drawing on the experience and insight offered by Brandmovers, we can constantly improve student experience at LSBU by providing live briefs, working on cases and with relevant data, which reflect industry changes, as well as internships. This will equip students with the skills needed to work in roles that require digital capability, and where there is a chronic skills shortage.” The Endowment meets with the ambitions of the School to enhance business engagement and innovation and is the first in the School’s history. Professor Margaret Bruce was influential in bringing the Partnership to LSBU. She was attracted by the University’s enterprising culture, as acknowledged by the recent The Times Higher Entrepreneurial University of the Year award. She expects that this Partnership will help to promote our research and innovation and to establish a thriving hub for digital business and enterprise in the heart of London.